Sometimes POTLUCK! If this is a Potluck Dinner bring a dessert or covered dish – appreciated BUT NOT REQUIRED. 8 DANCE HOSTS ARE PROVIDED SO THAT PARTNERS ARE NOT NECESSARY . Musical mix of ballroom, smooth,Latin, swing, tango & 2 line dances. 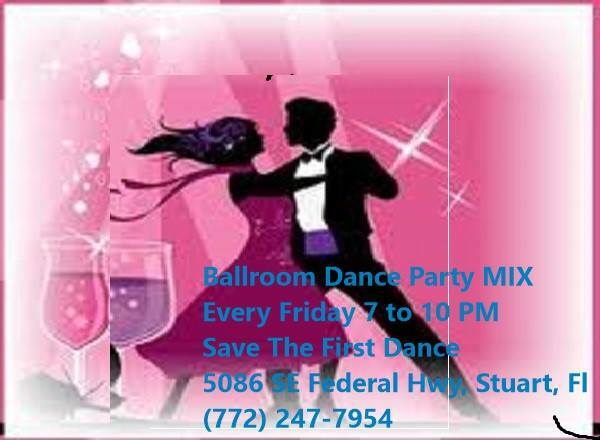 FREE Night Club Two Step Class from 5:45 to 6:30 PM attached to the cost of admission to the dance party. Our new facility is 5,000 sq.ft. with a 2,700 sq. ft. dance floor. We provide snacks, desserts and refreshments. SAVE MONEY: You May Bring Your Own Beer, Wine & Alcohol. Dance Party Cost is ONLY $10 per person.